The most important question facing the human race is this: how can a sinful human being be reconciled to a holy God? It is the question asked by a prison guard in the book of Acts, chapter 16. When an earthquake struck in the city of Philippi and prisoners were escaping, this prison guard knew he would be executed. So in a moment of desperation, he blurted out to the apostle Paul, “What must I do to be saved?” Paul’s answer was simple and to the point: “Believe on the Lord Jesus, and you will be saved” (Acts 16:31). 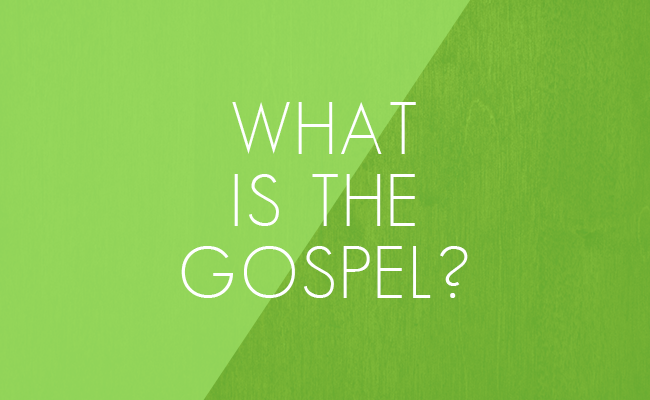 The gospel is the good news that salvation is available in the life, death, and resurrection of Jesus. It is a true story that leads to a summons. That summons is stated many times in the New Testament as “repent and believe on the Lord Jesus Christ.” In short, to repent (change one’s mind and behavior) and believe (in Jesus as God in human flesh, who came to give His life for sinners) is the only way to be forgiven and find eternal life. It is the only way to escape an eternity of suffering in Hell. Although many do not like the topic of Hell, Jesus spoke about it frequently. In fact, He spoke more about Hell than He did about Heaven. It’s also clear that Jesus claimed to be the only path to eternal life. In John 14:6, Jesus says, “I am the Way, the Truth and the Life; no one can come to the Father, except through Me.” Here is the message of salvation, of how to be made right with God, and escape the terrors of the coming judgment. This is the gospel of grace, of hope, and of eternal life. To be saved is to turn from our sins and cry out to Jesus alone for salvation. Jesus says in John 8:24, “I told you that you would die in your sins, if you do not believe that I am who I claim to be.” The Bible tells that we are born into sin and desperately need to be reconciled to God. Otherwise we will perish forever in Hell. The most famous verse in the Bible (John 3:16) contains both the gospel and the summons of the gospel: “For God so loved the world, that He gave His only begotten Son” (gospel), “that whoever believes in Him will not perish, but have eternal life.” (summons). Once we are saved, the Bible then commands us to be baptized—under water—to announce our commitment to Christ to the world. Baptism is the first act of obedience once we have repented and believed on Jesus. The promise of eternal life is a promise of life on a New Earth. This is a place described in the last book of the Bible, Revelation. The Bible says the New Earth will be a world that is beautiful beyond description—a world with no pain, no suffering, and eternal joy in the presence of the Lord, and His people.